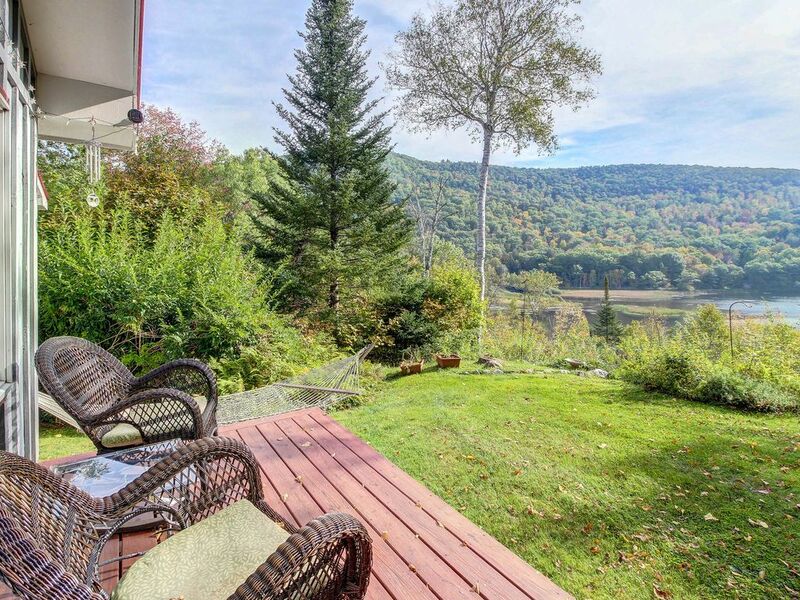 Make your Vermont dreams a reality with a reservation in this cute cabin, where lake and mountain views surround you! There's something for every season here, from plenty of outdoor seating to a convenient, secluded location. This cabin is a great home base for a ski trip, since it's about eight miles to Okemo's ski slopes and 16 miles to Killington. You're situated a little over three miles from Camp Plymouth State Park, a local hotspot for hiking and exploring. While you're in the area, check out Plymouth Artisan Cheese's homemade dairy creations! Step out on Amherst Lake Cottage's back porch with your morning coffee and enjoy your very own lake views. Up to six can stay in this family-friendly cabin, and a full kitchen accommodates everyone's mealtime needs. You'll have a private washer and dryer during your stay, as well as cable and free WiFi. Please note that 4x4 driving may be required during the winter. Book your stay at Amherst Lake Cottage today! Weekenders feom Boston up for a couple easy ski days without a big commute. Okemo 10 and Skyeship@Killington 15 min away. Amazing view of Lake Amherst, sunrise, and birdlife to start the day, and a gas stove to prepare dinner around the ample table (a massive plus over ring burners). Nice hot shower and water pressure to reset the day before gathering around in the living room to puzzle the night away. Perfect spot of less touristed Southern Vermont. Cozy, clean lodge with plenty of space. Close to the ski resort. good location, very close to okemo resort. cozy place. plenty of space for 6 people. highly recommend!